PAGASA has already declared the start of the rainy season with the country dealing with the combined effects of tropical storms and the southwest monsoon. 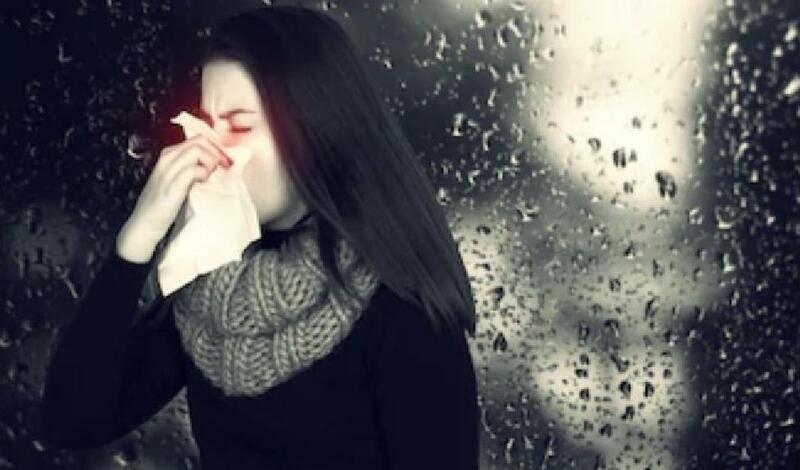 With the sudden change in wind direction and temperature, the amount of rainfall increases as well as the viral infections that come with it. Coined as monsoon infections, Dr. May Montellano, former president of the Pediatrics and Infectious Disease Society of the Philippines, warns the public of its faster transmission due to the weather. Often taken lightly, these diseases are more prone to become serious cases that can lead to hospitalization. Know about the top three most common monsoon diseases that can put Filipinos’ health at risk, and the preventive measures that people can take to avoid hospitalizations. Water borne diseases are usually transmitted by drinking polluted water and consuming contaminated food. The season’s cold temperature causes bacteria to live and breed massively in fresh waters, which is food and water source for many. In an advisory released by the World health Organization (WHO), common diseases that fall under water-related illnesses are cholera, diarrhea, Hepatitis A, amoebiasis and typhoid fever. If neglected, these diseases can cause severe infections in one’s digestive system. With water being a basic need, it is important to know where it comes from. To avoid getting these diseases, it is best to boil water before using or drinking. Ensure to cook raw ingredients well and store food in places where insects cannot infest it. Last June, the DOH also released a warning against mosquito-borne diseases such as dengue that are more prevalent during the rainy season. Rains are ideal for mosquitoes because of puddles and other unnecessarily stored water that serve as mosquitoes’ breeding grounds. With more rainfalls this season, mosquito-borne diseases like dengue, malaria and chikungunya are most likely to emerge. Though caused by tiny carriers, the symptoms of these diseases range from mild to serious including high fever, severe joint pains, malaise, vomiting and blood and organ infections. Maintain a mosquito-resistant environment by obstructing any possible nests for mosquitoes. Ensure that there is no stagnant water that can be a mosquito’s haven in your surroundings like old shoes or toys, flower pots and car tires. Use mosquito-repellent lotion and bug-deterring sprays to prevent mosquitoes from entering your homes. While the cold weather is ideal for breeding mosquito and waterborne infections, it is also conducive in spreading viral infections like flu. With the monsoon even meddling with weather shift, it can also trigger a wide spread of influenza. The World Health Organization (WHO) said that cough and colds are not its only symptoms as one can also experience fever, severe joint and muscle pains, malaise and nausea. Severe manifestation of flu, as added by the Center for Disease Control and Prevention, can even lead to hospitalization. It can also cause respiratory infections like pneumonia and may eventually lead to death. Flu can be avoided by strengthening one’s immune system. Luckily, the disease is also vaccine-preventable. While it can also be avoided with the proper hygiene and stringent ways like the other monsoon diseases, its shifting virus strain can be very unpredictable. With monsoons doubling the risk of virus transmission, it is best to avert flu through vaccination. The rainy season has only begun, and it is likely to heighten with inevitable monsoon interference that the country experiences. As diseases surface in its presence, it is best to know what Filipinos are up against as well as the preventive measures they can take against them. Visit your physicians and ask about vaccinations today.